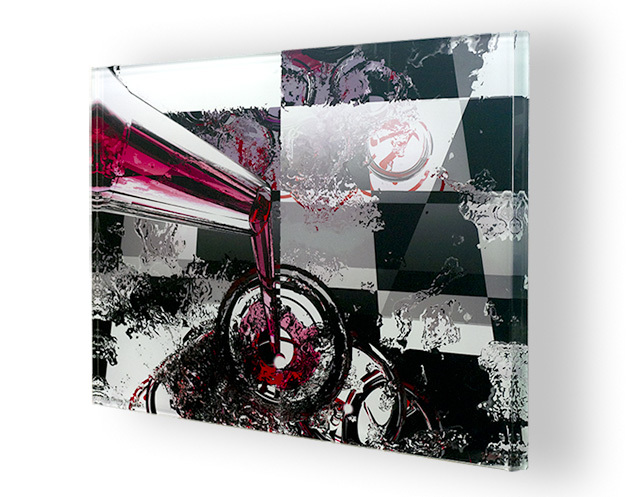 We now offer three type of canvases. 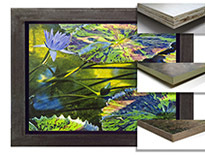 PREMIUM CANVAS, a woven canvas with strong texture, used for fine art reproductions. 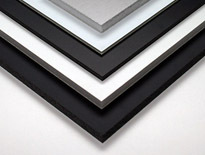 VALUE CANVAS, a polyester/cotton blend with a slight Oxford 2 over 1 weave, used for photographs. 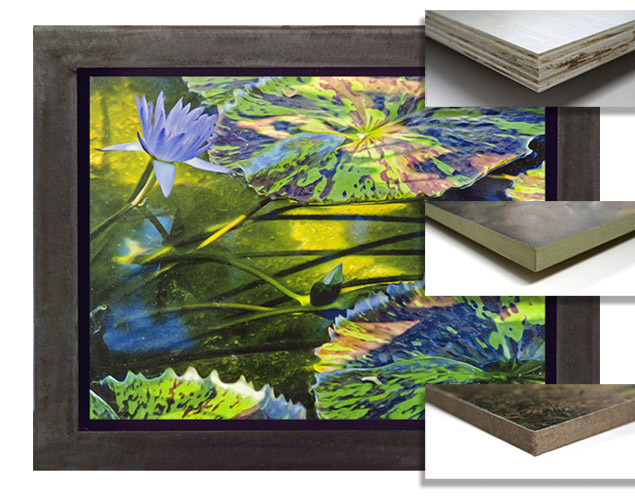 PRODUCTION CANVAS, a 100 percent polyester, used for decor applications. 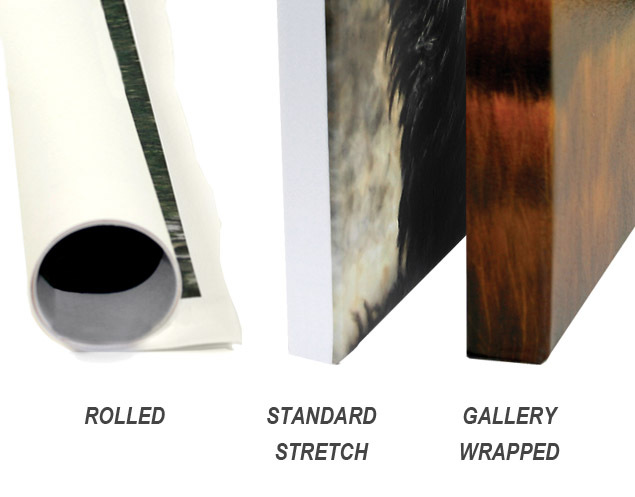 All canvases are available in Rolled, Standard stretch on .75" bars for framing, and Gallery Wrap on 1.5" or 2" bars. Click Here for Wilheml-Research paper on Canon's Lucia EX ink permanence rating. 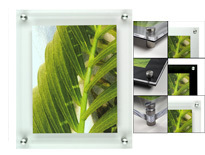 Prints are mounted to the back of clear acrylic with optically clear adhesive. 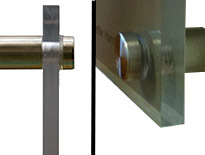 Acrylic ranges from 1/4" to 1" thickness with polished edges. 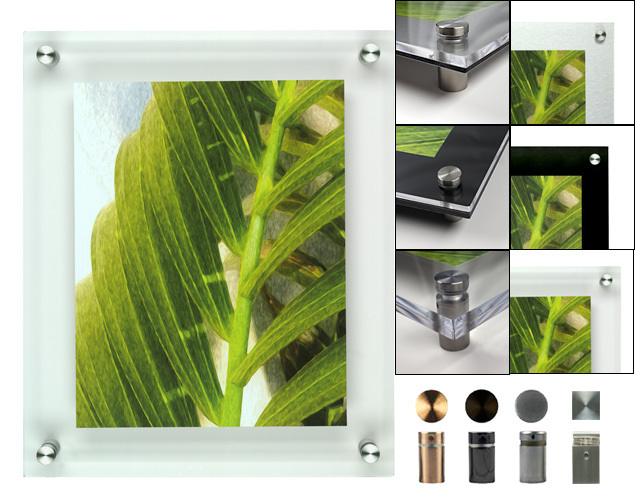 Print on acrylic, stand-off pins and hanging hardware included. 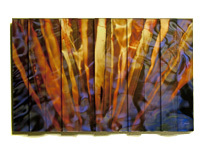 Images are transfered to a textured gesso panel(Hardboard or Baltic Birch plywood). All baltic birch plywood and tempered hardboard have been primed and gessoed. The gessoed surface will not separate from the panel. 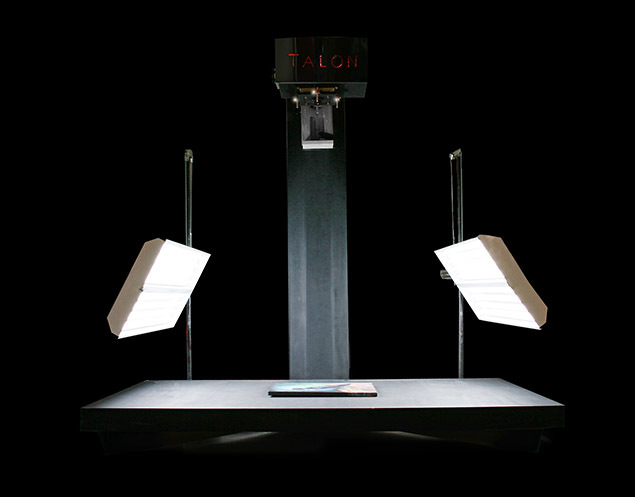 A High quality reproductions starts with a high quality scan. Hard to match colors are masked and adjusted. When we feel the colors are correct, it's time for output. 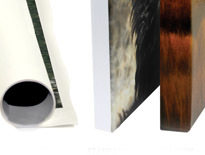 Proof prints are made and compared to the originals. Using the CANON iPF9400 with it's 12-color Lucia ink system, we can reproduce art work that has a very wide color range. The final step of making a fine art reproduction is to protect the print with a UV coating. 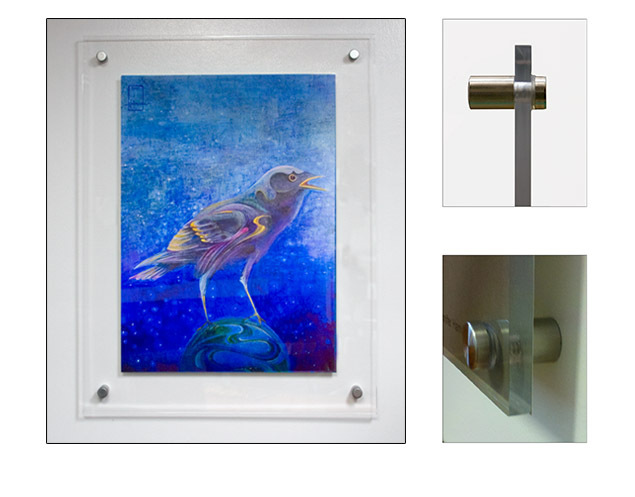 Frame comes with two pieces of polished 1/4" acrylic, stand-off pins and hanging hardware. Also available with ACM(aluminum composite material) backing piece. ACM backing available in Silver, Gold, White, and Black. Beautiful wood grain is visible were image contains white. 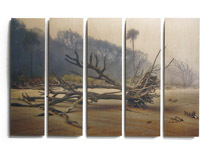 Edges can be painted or left natural. Ready to hang with traditional picture framing hardware or standoff pins. 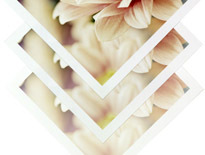 A High quality digital reproduction can only be achieved with a high quality file. 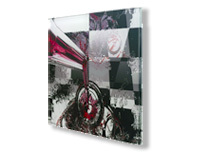 * Capable of producing a 300ppi file for a 36"x48" original. 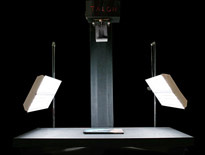 * Advanced Digital calipers for measuring artwork with accuracy of 1/1000th of an inch allowing for perfect sharpness. 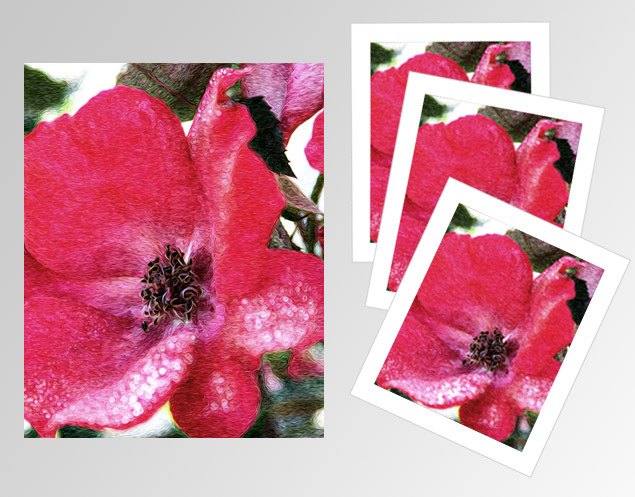 A contemporary and unique way to create variations and evolutions of your artwork and photographs. The 3D layering of 'Face Mount Acrylics' allows the artwork to emerge with a whole new perspective, adding interest and excitement. 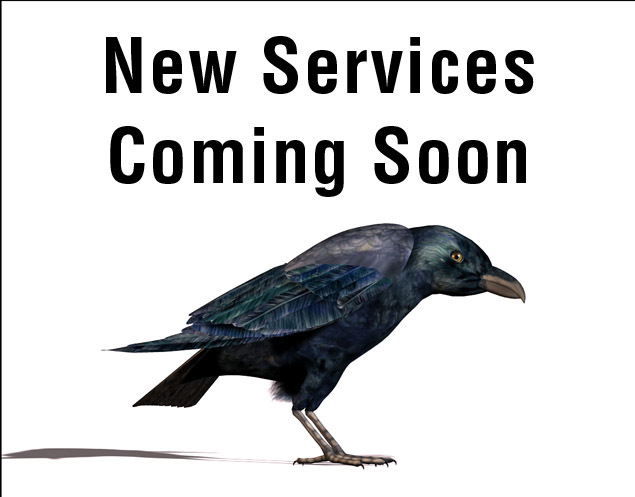 * Only for prints produced at Raven Image. 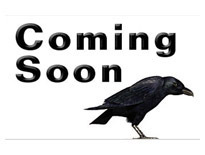 Raven Image, Inc. does not mount customer supplied prints. 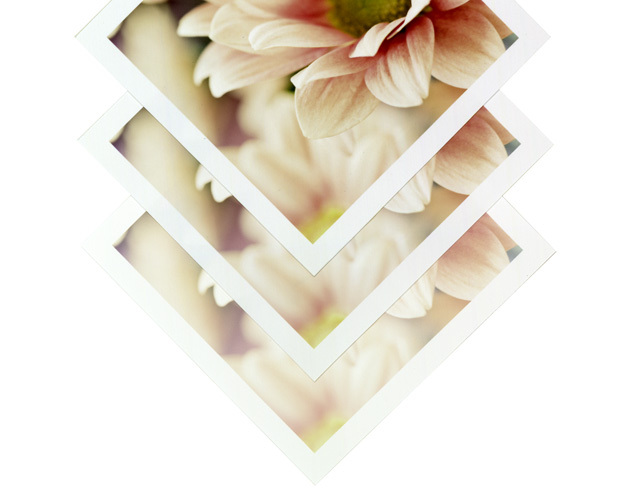 Your image is mounted to the back of a UV resistant acrylic sheet, letting you view the image through a clear glossy surface. 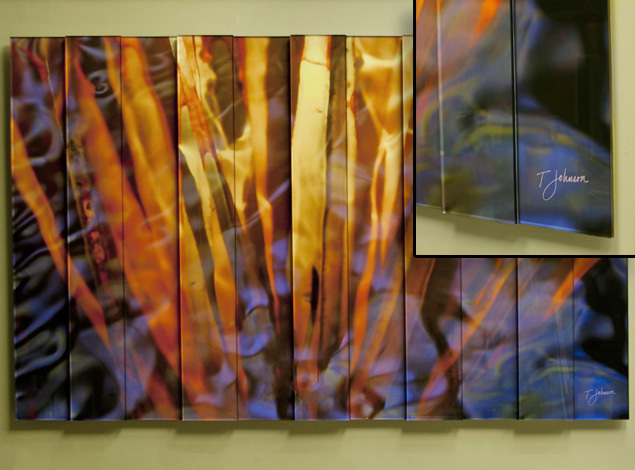 This mounting process preserves your images and creates a stunning visual effect. Viewing the photograph through the acrylic adds a third dimension to your image, creating depth and increasing sharpness, contrast and color saturation.